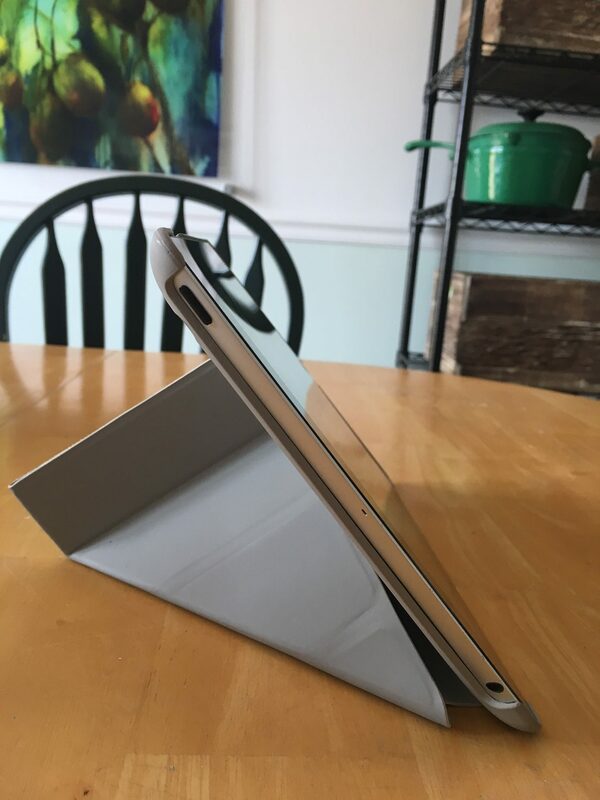 I had the opportunity to try out a new custom-made case for my iPad this past month, and I am so thrilled to share my experience PLUS an exclusive discount code just for my readers. All thoughts are my own. As a woman business owner who just launched a second business at the beginning of this year, I am all about supporting other women-owned businesses. But this business – Creative Print House – is particularly special to my heart because it is owned by a wonderful woman that I met during my freshman year of college. 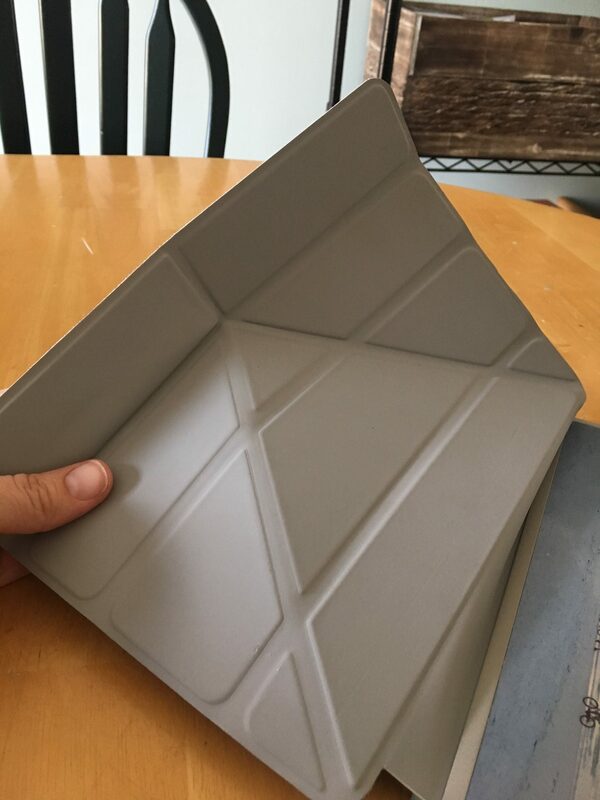 When she reached out to me recently, I was excited to give Creative Print House a try for a premium custom iPad case, especially since the case that I had on my iPad at the time was quite literally falling apart. 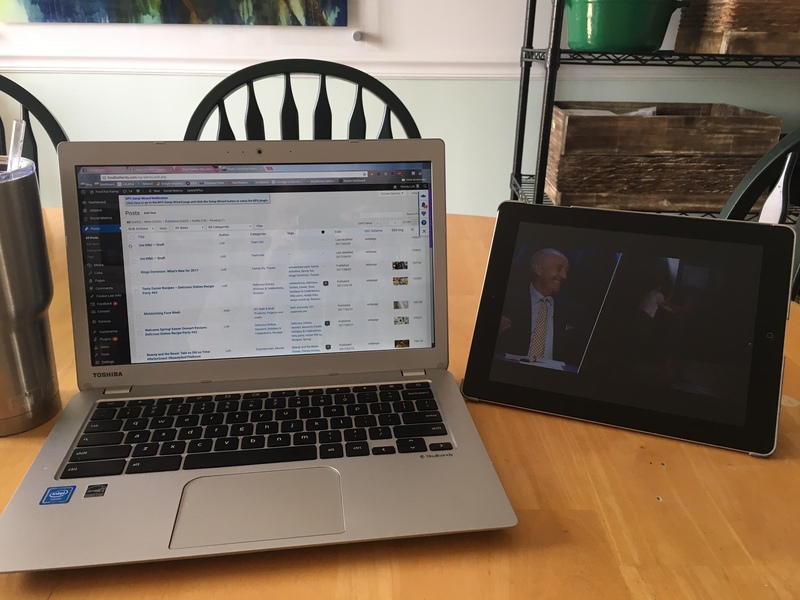 My iPad sees a lot of use. It can often be found sitting next to my computer playing Netflix or another one of the shows that I keep up with while I work. 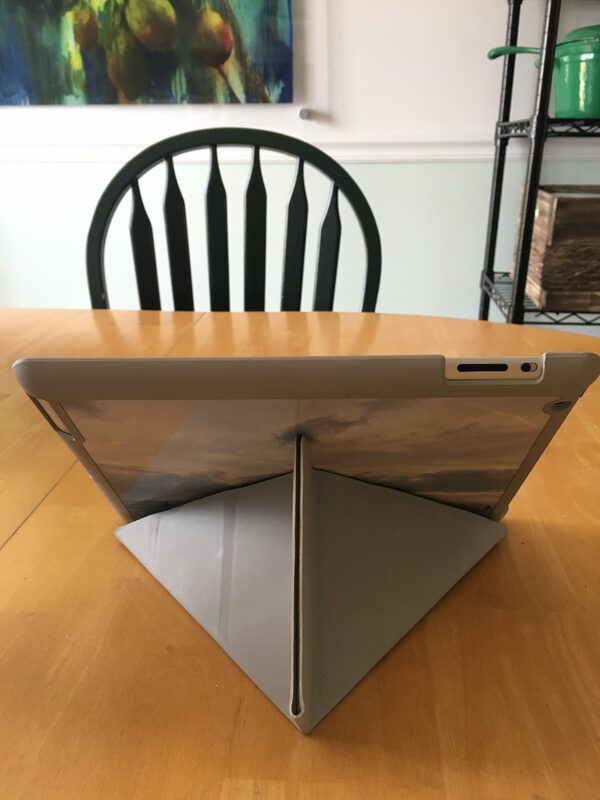 It’s important to me to have a case that makes viewing easy – I like to be able to prop the case up at different angles and not worry about the iPad falling over. 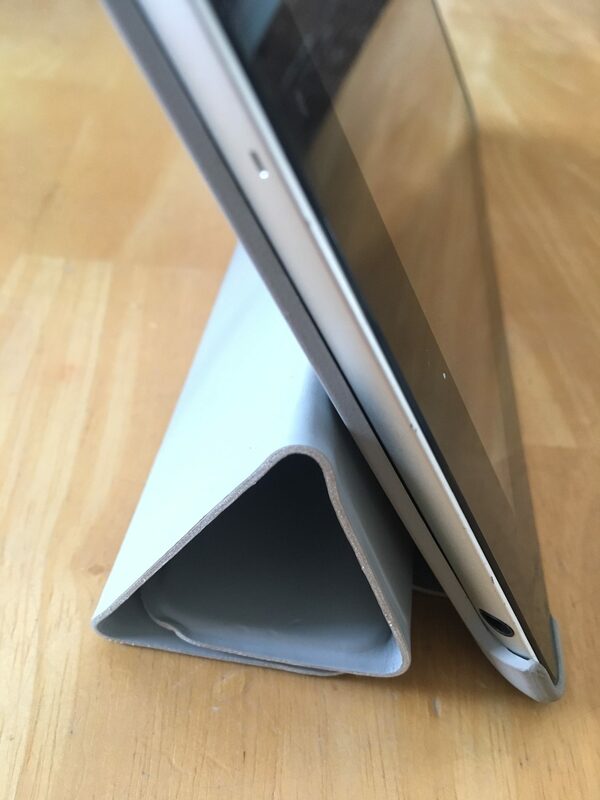 I often carry my iPad with me in my purse, especially at church or conferences or work trips, so a slim fit is a feature I look for. I don’t want anything too bulky that will take up too much space in my bag. While I’m not using my iPad, it’s probably being used for Pandora or YouTube videos by one of my kids. So durability is another important feature to me. My case from Creative Print House fit all of my criteria. Slim fit, easy to prop up for viewing shows, and durable enough for the kids! 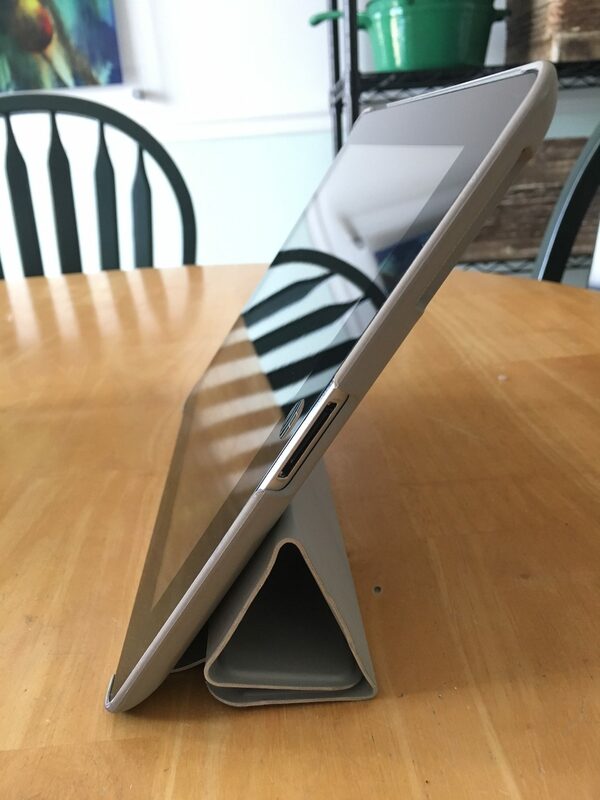 I love that there are two ways to set the iPad up for viewing, and the slim magnetic cover is easy to manipulate but stays exactly where you want it to stay. But let’s touch on the design for a moment. I often have a hard time picking a case design that fits my personality every day, which means that I usually just go for something totally plain. 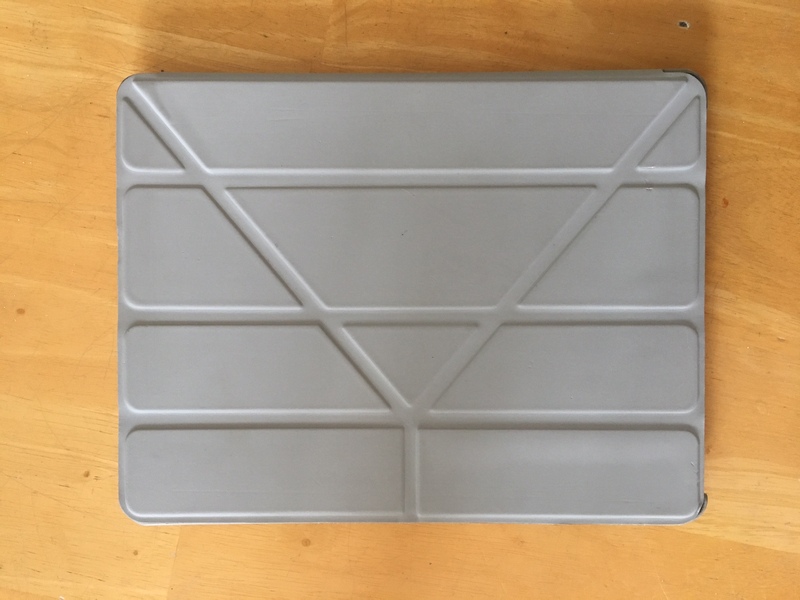 When I was considering one of my own photos to add to my iPad case, I had one particular picture in mind. This is a shot from Christmas in Florida 2015. The entire family (including my then-soon-to-be son-in-law) was enjoying a peaceful Christmas sunset on the beach in Florida. Although none of my family members were in this shot, I loved the silhouetted bikers rising along the water’s edge just as the sun was going down. The colors and the scene were so peaceful. This picture makes me happy, and now I can think back on that memorable family trip to Florida every time I pull my iPad out. 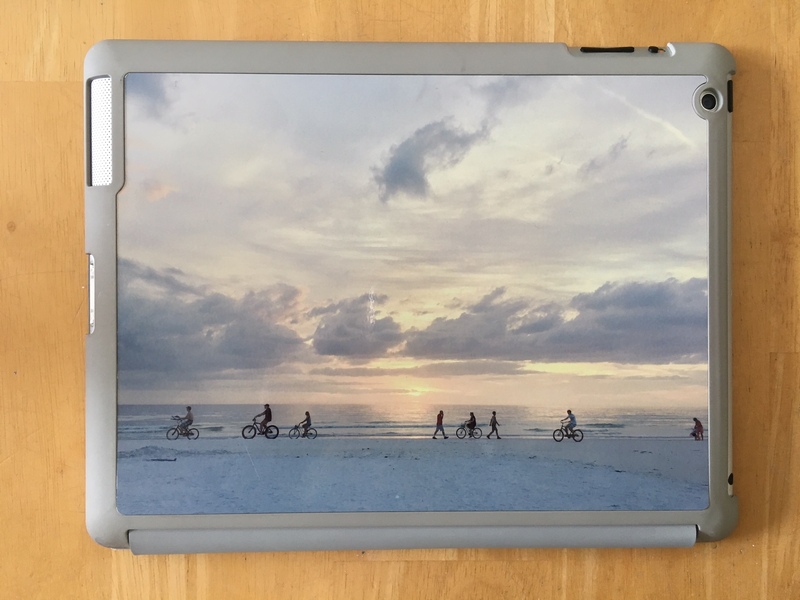 Designing an iPad case was easy on Custom Print House. You can choose from a black, grey, white, pink, green, or blue case to start (I chose grey because it matched my photo perfectly). You can easily upload your image, and then center and crop the image to fit the case. After you’d got the image set, you can add text as well (I didn’t want any text on my case – the photo speaks for itself!). You can then preview your design to see exactly how it’s going to look when you get it in the mail. The same process applies for custom phone cases; you choose your phone model and the style of case that you’d like (plastic, rubber, or extra rugged), the color, and then add a design. It couldn’t be easier! If you’re in need to a new case for a phone or iPad, I would highly recommend ordering from Custom Print House! For 15% off your order, use code LRFF15 at checkout. And then show me what design you chose!